Event will be held Thursday, April 26, from 6 p.m. to 10 p.m., at the Goei Center 818 Butterworth St. SW. Ticket prices range from $70 to $90 based on WMEAC membership, and will be availble until April 25. Tickets may be purchased on the WMEAC website. One of the top political issues impacting Michigan today has to do with water. Whether it be the ongoing Flint water crisis, the controversial Enbridge pipeline Line 5, the permit for Nestlé bottling water from the state’s groundwater supply, water quality is a pressing concern for many Michiganders. 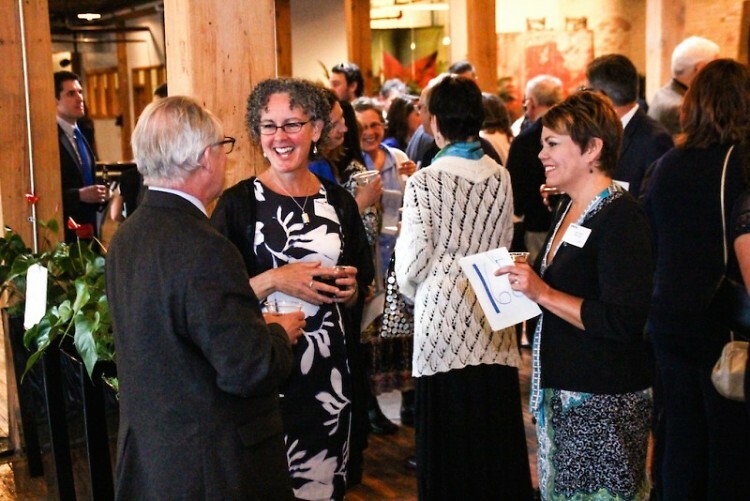 At the fourth annual "Blue Tie Ball," the West Michigan Environmental Action Council is seeking $20,000 to help fund water protection programs put on by the non-profit organization to educate the community on how to take action on the issue of water quality in Michigan. The ball will take place Thursday, April 26, from 6 p.m. to 10 p.m. at the Goei Center, 818 Butterworth St. SW.
With live musical entertainment, dinner provided by San Chez Bistro, cocktails, and an auction, WMEAC hopes to attract many in order to reach its fundraising goal that will allow the organization to continue its water protection programs. The fundraiser will support the organization’s rain barrel workshops, Teach the Watershed Program, West Michigan Water Trail Project, and the Sustaining Stormwater Investment, which all aim to make advances in improving water quality at the local and state level. The Teach the Watershed Program is the most well known program put on by WMEAC, where dozens of volunteers come to classrooms across Grand Rapids, Holland, and Muskegon, to teach fourth, fifth, and sixth graders about water pollution and other threats to local waterways. Students are taken out of the classroom to a local stream to perform experiments, for example, examining macroinvertebrates to determine if a stream is healthy or not. One of the goals of WMEAC is for them to provide resources to members of the community so that they will take action on issues such as water quality. In order to accomplish this goal, the organization requires donation and support from the community. Without the necessary funding the organization would not be able to provide workshops to the community on how to create rain barrels and how to take steps to prevent stormwater runoff pollution, along with a larger project that aims to link the Grand River Heritage Water Trail with the Lake Michigan Water Trail to form a national water trail. In addition to fundraising, the Blue Tie Ball celebrates the 50th anniversary of WMEAC and will honor Earth Day. At the gala, the Heartwell Environmental Legacy Award will be given to a public servant who is committed to environmental protection. This year, the award will be given posthumously to Vern Ehlers, a former physics professor at Calvin College and a U.S., Michigan state congressman. According to WMEAC director of development and organizer of the ball, Mary Robinson, he served as an advocate for the environment and a supporter of WMEAC from the very beginning. “He did such a great job bringing that scientific frame of mind to Congress and to legislation, that's one of the things we appreciate about Vern. He looked at things and took them apart to look at the facts,” Robinson said. Tickets for WMEAC members sell at $75, and for non-members $90. Attendees also have the opportunity to buy a table for $725. Tickets and tables can be purchased on the WMEAC website.